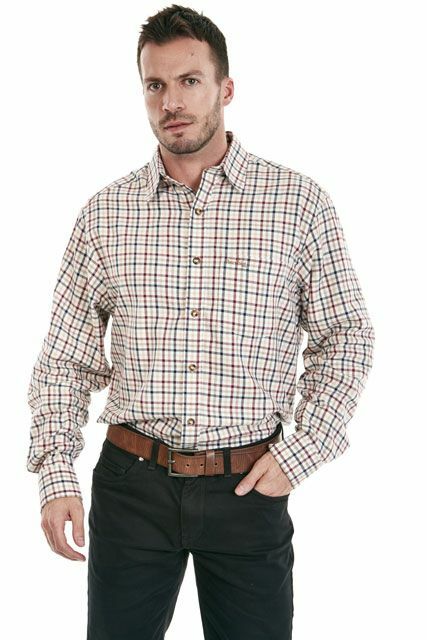 Horton is a classic styled 100% cotton shirt, which works well with many of the Sherwood Forest outer garments. 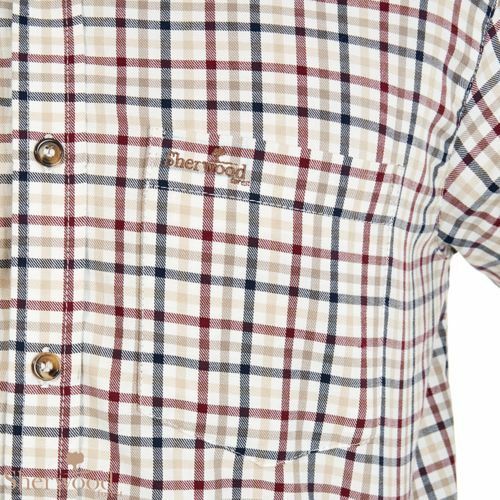 Features Sherwood embroidery to pocket, button down cuffs. Available in Burgundy/Blue check.